The U.S. sanctions on Iran are not biting yet, as global oil markets are well supplied. In the coming weeks, Iranian crude volumes should show a decline. At the same time, the success of Trump’s sanctions relies for a large part on the compliance of international buyers and the position taken by leading OPEC members. 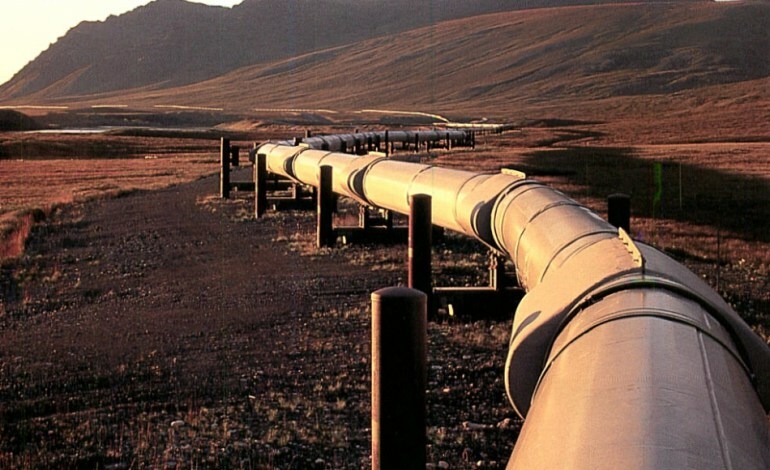 The three leading NOPEC countries have indicated that they are able and willing to open their taps to supply for possible gaps in volumes worldwide. Combined with increased U.S. production, this should dampen price increases. Stability is key for most it seems, but that may not always be the case. Iraq, OPEC’s 2nd largest producer indicates that it wants to supply Asia’s main oil consumer China with 60 percent more crude in 2019. Alaa Al Yasiri, director general of Iraq’s Oil Marketing Company SOMO, stated that Baghdad is ready and willing to ship around 1.45 million bpd to China in 2019 – 550,000 bpd more than in 2018. In addition to its 10 current clients in China, including Chinaoil and Unipec, SOMO signed an oil trading venture with Zhenhua Oil, based in Tianjin. The new venture has set a target of 160,000 bpd, to be provided to small independent refiners and large petrochemical plants in China. Iraq’s new strategy is to tap into growing Asian demand. Part of the new Iraqi supplies could even come via the Turkish port of Ceyhan. Current political and military influence of Iranian militias, proxies and the IRGC in Iraq will not be mitigated by U.S. pressure. SOMO’s statements followed statements made by Iraq’s new oil minister Thamer Ghadhban, who stated that current oil prices are fair. Ghadhban also indicated that Iraq will supply additional volumes if the market needs them. The Iraqi official also reiterated that there is not yet a need for a change to the current OPEC-Russia market strategy. By 2022 Iraq aims to have a production capacity of around 7 million bpd, in contrast to its current 5 million bpd. A more aggressive Iraqi oil (and gas) sector will have an immense impact on global markets. However, as has been seen the last years, plans and strategies in Iraq can struggle due to political infighting. At the time of writing the country still does not have a new government in place. The optimism of recent weeks and the progress made by the coalition set up by Prime Minister Adel Abdul Mahdi’s government has been tempered. Iraqi Shi’a power broker Moqtada Al Sadr, the leader of the Sairoon Coalition, has imposed a veto on the candidate of the Binaa Coalition for the post of interior minister, Faleh al-Fayyad. At the same time, Al Sadr refused to give the education portfolio to the Arab Project, which is led by Khamis al-Khanjar. Due to the veto, the parliamentary vote on eight ministers in the new government is postponed. Since the Iraqi elections, religious, ethnic and power politics have delayed or outright prevented any real decision-making. Taking this situation into account, all official government statements made at present should be taken with a grain of salt. The same counts for statements made by the Iraqi PM Adil Abdul-Mahdi that Iraq is “not part” of the recent iteration of sanctions the U.S. has imposed on Iran. The latter, when looking at the current political and security power set up within Iraq, is not true. Abdul-Mahdi’s statement that Baghdad’s views on the Iran sanctions are in line with Russia, China or Europe, are incorrect to say the least. Iraq is part of the sanctions, as a vast amount of power players, militias and companies currently deciding Iraq’s future are directly linked to Iran. As the second set of U.S. sanctions targeting Iran’s energy, financial, and shipping sectors took effect on November 5, Iraq’s links to Iranian entities and the financial system also came under scrutiny. The fact that Iraq has not received any waivers, should be seen as a reflection of this. Even though some Washington sources claimed that Iraq has been given a special waiver, no such official statements have been given by U.S. Secretary of State, Mike Pompeo. Kurdish media now claims that a waiver has been given to allow Iraq to pay for Iranian electricity imports. Baghdad’s close links to and even direct involvement with Iran has been a major source of concern for the West. When considering U.S. sanctions on Iran, the main concern at present for the U.S. is that Baghdad will assist Iran in exporting crude oil via Iraqi channels. In this way, Tehran still could access international oil markets and receive hard currency. The Iraqi PM has reiterated when asked about these issues that his government is prioritizing its national interests, while supporting its sovereignty. The latter, according to U.S. and Arab sources, means that Baghdad is still open for cooperation with Iran, as long as it does not lead to hefty fines or other measures by the U.S. Statements by Iraqi officials that Baghdad is not going to take should also be taken with a pinch of salt. Current political and military influence of Iranian militias, proxies and the IRGC in Iraq will not be mitigated by U.S. pressure. Tehran will not allow any increased influence inside of Iraq that stands contrary to Iranian policy. For Tehran, Iraq is one of the only open roads to global markets. Looking at the current Iraqi government set up, and the positions taken by Muqtada Al Sadr and others, Iran still has a friend. For Saudi Arabia and the UAE, the position currently taken by Baghdad is not a very promising one. While NOPEC may be considering production cuts in 2019, Iraq is openly planning to increase its overall production substantially. A split in OPEC, which was already hinted at when Iran called for an end to the JMCC, could occur very soon. Iran’s hold on Baghdad is still underestimated. If Baghdad and Tehran, supported by other hardliners, are willing to confront the Saudi-block in OPEC in December, a bush-fire could begin. At present, discontent is hidden under the surface, waiting for some additional oxygen to heat up global oil markets. Posted on the Iranian November 8, 2018.